Zero Balancing (ZB) is a hands-on, non-manipulative therapy that balances the relationship of energy and structure within the bones and tissues of the body. ZB is an original and practical type of bodywork that promotes internal balance and harmony through the use of informed, skilled touch. Zero Balancing releases stress and tension in both body and mind, relieving symptoms caused by energetic or structural imbalance. After a ZB session, the spine feels aligned and the whole body feels balanced. Aligning the skeleton with the energy flowing through it also enhances the bodyâ€™s natural healing processes and supports optimum health. After sharing information about your current state of health, you will receive a seated evaluation. Lying down on your back fully clothed, your body is assessed for tension in the joints and skeletal structure. 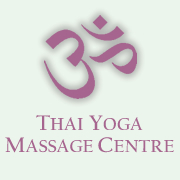 Gentle finger pressure and held stretches are applied to the ribs, hips, spine, feet and neck to release tension. By aligning the densest tissues (bones and joints) with the energy moving through them, Zero Balancing helps you to let go of limiting and uncomfortable patterns of all kinds, releasing tension and stimulating the bodyâ€™s own natural flow of energy. A typical ZB session lasts 35-45 minutes.